With the Arkansas midterm election less than a month away, we want to provide an update on the education issues at the center of our state’s governor’s Race. Last spring, we conducted interviews with each of the candidates to learn about their stances on education issues (view Asa Hutchinson’s interview here and Mike Ross’ interview here). In these interviews, the candidates discussed many issues including pre-kindergarten, technology, teacher quality, leadership, charter schools, and college access (read the policy brief summarizing the interviews here). Both candidates recognize that education is very important to our state. Furthermore, both candidates acknowledge that Arkansas’ teachers are vital to providing quality education to our students. In recent interviews with the Arkansas Public Schools Resource Center, both Hutchinson and Ross discussed Arkansas’ teachers (view the APSRC interviews here). As we discussed previously, the next Governor of Arkansas will not only have to make key appointments to lead the Arkansas Department of Education, but also will serve as the vocal leader in education reform. The governor can serve as a voice to champion promising ideas that can boost Arkansas’ students and the future of our economy. Therefore, as the election approaches, it is important that Arkansas’ voters know the stances of the candidates. What are the main education issues facing the candidates? Subsidized pre-kindergarten is offered to 4-year-old students in Arkansas through the Arkansas Better Chance program (state and locally funded) and Head Start (federally funded). The Arkansas Better Chance (ABC) program started in 1991 to provide pre-kindergarten to low-income and developmentally at-risk students. In 2003, Arkansas’ legislature increased funding towards pre-kindergarten to create the Arkansas Better Chance for School Success. Currently, subsidized pre-kindergarten is available to students with families up to 200 percent above the poverty level. Since the 2008 fiscal year, the amount of state funding for pre-kindergarten ($110 million) has not increased. Where do the candidates stand on this issue? Hutchinson supports fully funding pre-K for all students in families that earn up to 200 percent of the poverty level. No matter the outcome of the governor’s race, we expect pre-k funding to be discussed during the 2015 General Assembly. The Arkansas State Board of Education approved the Common Core State Standards (CCSS) in July 2010. Across the nation and in Arkansas, the merit and implementation of CCSS has been debated. This summer, we released a detailed report highlighting the standards and the subsequent debate (read the report here). In recent debates, both candidates have acknowledged the debate surrounding the Common Core State Standards, and both have acknowledged the miscommunication that abounds. 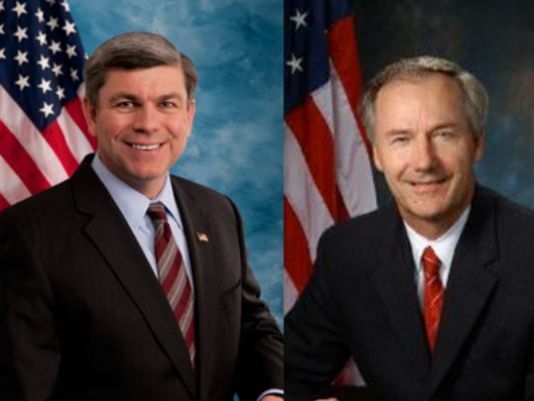 Both candidates have suggested that they support reviewing the Common Core to ensure that it is meeting Arkansas’ needs. However, it is important to note that neither candidate has campaigned against the Standards. We expect the debate surrounding the Common Core State Standards to continue; however, we believe that it is important to acknowledge Arkansas’ hard-working students, teachers, and administrators, who are currently using the Common Core State Standards in an effort to improve learning across the state. Asa Hutchinson’s education platform calls for a computer science course (or a computer coding course) to be offered in every Arkansas high school. Hutchinson acknowledges that this change will require teacher training and/or access to online courses in many high schools. Hutchinson believes that the course “will motivate young people to consider a career path that centers on technology and computer skills. This change will lay the foundation for future dynamic economic growth in Arkansas” (Source: The Hutchinson Plan for Job Creation Through Technology Education). To review other issues facing the candidates, you can check out Asa Hutchinson’s platform and Mike Ross’ platform on their respective websites. During the 2015 General Assembly, we expect a number of other education issues to be discussed including: broadband access, teacher health insurance (in fact, in a debate on October 7th, both candidates discussed the insurance issue), facilities funding, and the Arkansas Public School Choice Act of 2013 (inter-district school choice). As always, we aim to keep you up-to-date regarding education policy in Arkansas; therefore, we will be providing you with more information about these issues and others in the months to leading up to the 2015 Legislative Session. Remember that early voting starts on October 20th, and Election Day is November 4.